Ted Gunderson (November 7, 1928 - July 31, 2011 ) joined the FBI in December 1951 under the Hoover Adminstration. He served in the Mobile, Knoxville, New York City, and Albuquerque FBI offices. He held posts as an Assistant Special Agent-in-Charge in New Haven and Philadelphia. In 1973 he became the head of the Memphis FBI and then the head of the Dallas FBI in 1975. 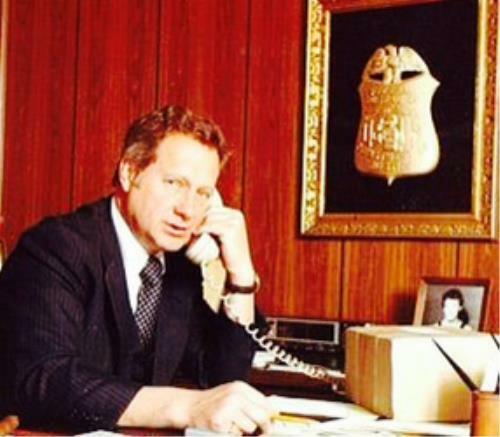 Ted Gunderson was appointed the head of the Los Angeles FBI in 1977. After retirement Ted opened private investigation firm where his cases led him to investigate and uncover Satanic Ritual Abuse in the highest rankings of government. He began speaking and his videos and lectures can be easily found on the internet. He exposed the human sacrifices that happen daily in the USA by government officials and other high profile Americans. For a read on the wild side simply "Google CIA The Finders". Before his death Ted spoke of harassment and several attempts on his life as attempts to silence him.